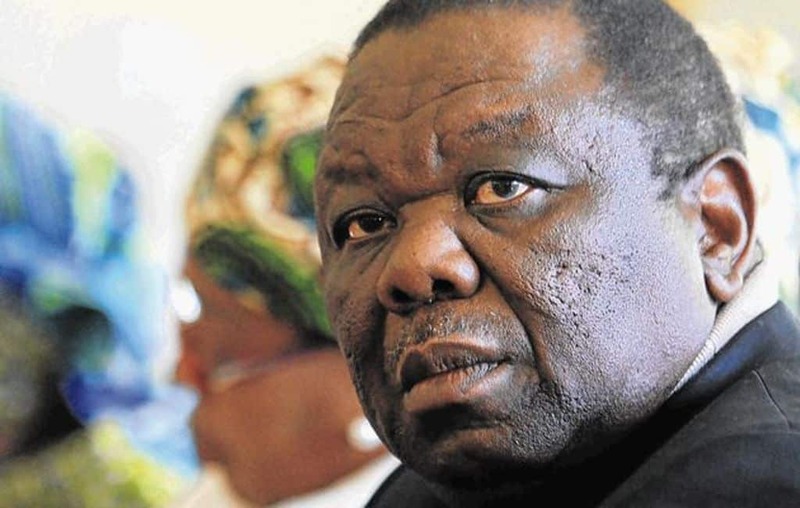 Former MDC-T Leader , Morgan Tsvangirai has died following a long battle with cancer. Less than six years ago, in September 2012, Zimbabwe’s leading opposition political party, the Movement for Democratic Change led by the late Morgan Tsvangirai (MDC-T) celebrated its 13th anniversary at White City Stadium in Bulawayo. The venue was awash with red party slogans and memorabilia. Inside the stadium, thirteen cakes were arranged around a centre-piece of the party’s symbol, a large, welcoming open palm. For years, the palm had stood in stark contrast to the clenched fist of the Zimbabwe African National Union – Patriotic Front (ZANU-PF), the ruling party. But by then, it had already lost some of its attractiveness. On that hot day in Bulawayo, the atmosphere should have been entirely celebratory. As MDC-T members streamed into the stadium, the joy at celebrating with their leaders the party’s survival despite thirteen years of attacks was palpable. But they grew increasingly restless as Tsvangirai – characteristically – left them waiting for hours to bake in the hot sun. When he finally appeared, Tsvangirai released thirteen doves to mark the party’s years of existence. One did not break for freedom but flew straight into the thirteen-piece cake, where it perched just long enough for me to snap a photo. The image has stayed with me as the dove, a symbol of the MDC-T’s commitment to peace, turned that principle on its head: peace seemed to be demanding its slice of the cake. Perhaps it was emblematic of the ‘it is our turn to eat’ attitude that had become endemic in some quarters of the party. To be clear, I have written elsewhere about how former President of Zimbabwe Robert Mugabe and ZANU-PF have been primarily responsible in pushing the country into a series of major political and economic crises. I have also argued that the 2013 election (as is also the case with many other elections in Zimbabwe) was not free and fair. Yet, the MDC-T that competed in the 2013 election was a weak party. This begs the question, what went wrong with the MDC-T during the Government of National Unity (GNU) years? More importantly, what lessons can the opposition learn from those mistakes? This analysis is largely limited to the GNU years (2009-2013). Since then, the party has split into numerous smaller parties. Nonetheless, the lessons identified in this paper may not only be useful for the MDC-T led by Nelson Chamisa, but also for the opposition at large. Scrutinising the flaws of the opposition at this point in time is crucial given that they will face a much stronger ZANU-PF now led by President Emmerson Mnangagwa. Under the Crocodile, as Mnangagwa is known, the party has strategically focused on rebranding itself while organising itself in military fashion. Consequently, the opposition will have to be much smarter if they want to not only stay relevant, but ultimately survive. Zimbabwe’s opposition parties would be foolish to dismiss the euphoria surrounding ZANU-PF following Mugabe’s removal from office. In his Rules for Radicals, Saul Alinsky wrote, “To build a powerful organisation takes time. It is tedious, but that’s the way the game is played – if you want to play and not just yell ‘Kill the umpire’.” If the MDC-T and its myriad of splinter parties wish to do more than shout from the stands, they need to make dramatic internal changes. If they do not, their leaders might better spend their time writing their parties’ obituaries. Continue reading the FULL TEXT here. Leon Hartwell was the Senior Policy Advisor for Political and Development Cooperation at Netherlands Embassy in Zimbabwe from 2012-2013. He is currently a PhD candidate at the University of Stellenbosch.